Home / dustbox / i don't like mondays / indonesia / mew / music / music festival / mxpx / naif / news / ntrl / ran / seringai / stellar fest / totalfat / Jakarta’s Stellar Fest unveils complete lineup! Jakarta’s Stellar Fest unveils complete lineup! 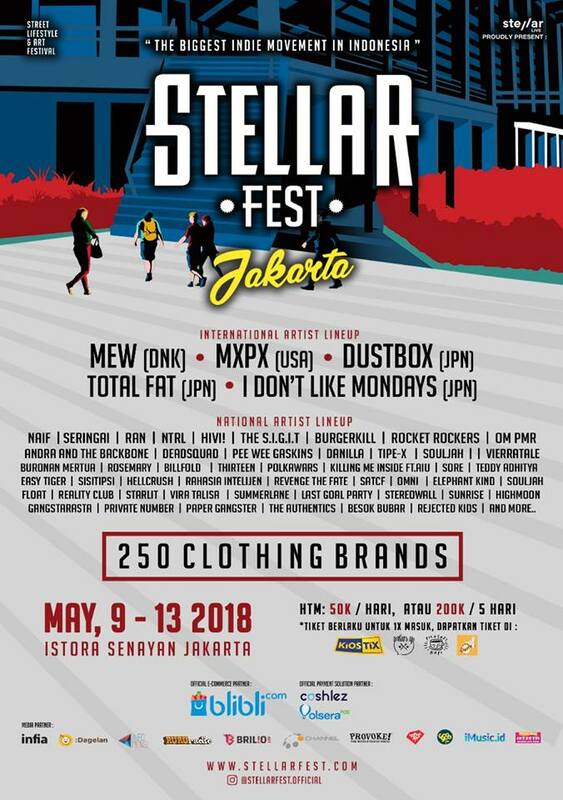 Jakarta’s “biggest indie movement in Indonesia”, Stellar Fest, has announced their complete lineup for the 9 to 13 May event at Istora Senayan. 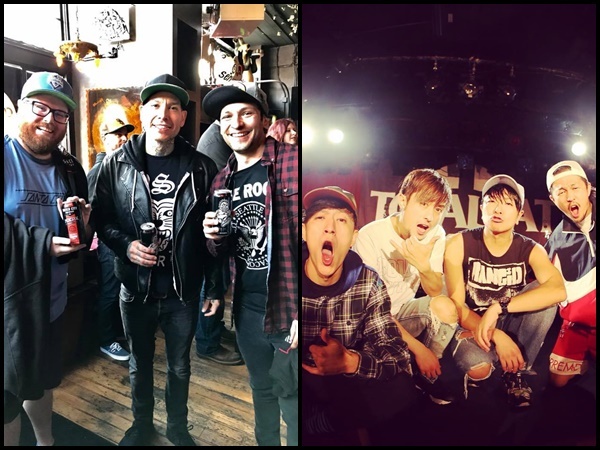 Adding on to the list of international acts we’ve previously mentioned such as Mew and MxPx, are Japanese groups Dustbox, Totalfat and I Don’t Like Mondays. Supporting the leading acts are some of Indonesia’s greatest talents such as Naif, Seringai, Ran and NTRL to name a few. Check out the complete rundown of the lineup below. Stellar Fest announces its complete lineup. 250 curated street clothing brands will also be setting up their pop-up stores at the festival, so shop to your heart’s content! The clothing brands which have been revealed so far are MUZCA, SPNCH STORE and Urbain. Grab your early bird passes now, priced at IDR 35,000 online via KiosTix. Tickets prices will be going up to IDR 50,000 later on and five-day passes are available as well at the price of IDR 200,000. This marks the first edition of Indonesia’s street lifestyle and art festival, Stellar Fest, of which is touted as, “the biggest indie movement in Indonesia”.